Exactly forty years ago, in 1976, a blind tasting was held in Paris in which French and California wines were tasted blind by nine French judges. Much to the surprise of the judges, and producers such as Mouton-Rothschild and Haut Brion, it was the 1973 Stag’s Leap Wine Cellars Cabernet Sauvignon that won first place. Ten years later when exactly the same wines were tasted again, it was the 1972 Clos Du Val Cabernet Sauvignon that came in first. Both of these wines were from Stags Leap District in Napa, California. The Judgement of Paris put Stags Leap District on the map. But grape growing in the region dates back to the mid-1800s when Occidental Winery, currently the home of Regusci Winery, was built in 1878, followed by Stags’ Leap winery built in 1893. 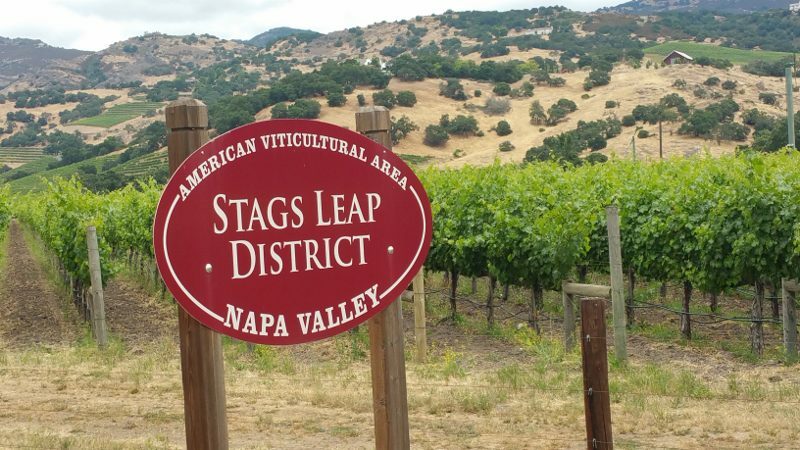 Known for Cabernet Sauvignon, Stags Leap District was declared the first viticultural area (AVA) in the United States in 1989. What makes Stags Leap District unique is that it is a “valley within a valley.” The Stags Leap Palisades are to the east and the Napa River is to the west; Yountville Cross Road is to the north and low-lying flatlands are to the south. Stags Leap District benefits from dry summers, cool Pacific breezes and low nighttime temperatures. Combined with a mixture of volcanic soils and loam with river sediments, the wines of Stags Leap District are known for their soft tannins and bright fruit, as well as a combination of power and elegance. Stags Leap District is located on the east side of Napa Valley and is approximately five miles from the town of Napa. Stags Leap District is only three miles long and one-mile wide and is comprised of 2700 acres, of which 1200 are planted to vines. It is one of the smallest AVAs and the wineries are located along the Silverado Trail which makes visiting very easy. Many of the wineries located in Stags Leap District may be familiar to you because many of them produce wines that can be found in local grocery stores. However at the tasting rooms you will get a chance to taste other wines only available at the winery itself. Starting at the southern tip of Stags Leap District and working your way north, here is a sampling of some of the wineries you can visit and experiences that can be found. Clos du Val was created by the Goelet family in 1972. John Goelet, a French-American, dreamt about owning a winery in Bordeaux. Instead, he hired French winemaker Bernhard Portet, who still works there today, to travel around the world to find a vineyard. Driving with his arm out of the car window, he discovered the microclimates of Napa. As a result, Goelet acquired one-hundred-and-fifty acres and opened a small vineyard estate. Today Clos du Val owned four-hundred-twenty-seven acres, with property in Yountville and Carneros as well. 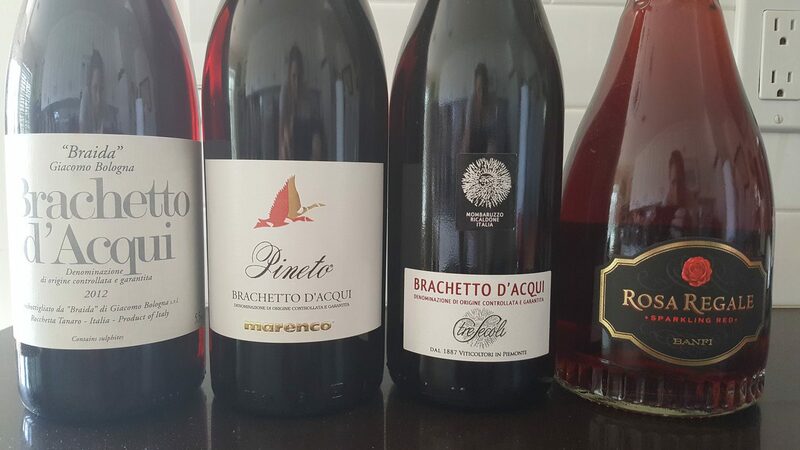 The winery produces twenty-one different wines, of which only four are in distribution. A visit to the Clos du Val tasting room will introduce you to more than a dozen wines, many small production wines, that you cannot find anywhere else. At Chimney Rock, the “Odyssey Tour” for $125 per person takes you into the vineyards to taste where the wine comes from. Offered daily at 10:30 a.m. and 1:30 p.m. for groups of six or less, you will hop on and off a golf cart as you tour the vineyards. Chimney Rock produces eight single vineyard wines and as you stop at each one, the guide will open up a bottle of wine from that vineyard. The Clone 4 vineyard is the lowest vineyard on the property and leads to the road. The twenty-six-year-old Ganymede Vineyard is named after the most beautiful woman in Greek mythology who was the cupbearer of the Gods. The Tomahawk Vineyard, planted in 2002, is located where the last nine holes of the golf course used to be. As you sip the wine, you will really get a sense of the place that the wine comes from. Chimney Rock, named after a rock formation, was originally a golf course. Sheldon Wilson, who had worked for Pepsi in South Africa, was looking for property and Napa was recommended to him. However was after the Judgement of Paris caused a new interest in the area andthere was no land available. So, just down the street from Stag’s Leap Winery was a golf course that he purchased and planted to vines in 1981. The tasting room architecture is 17th century Cape Dutch and is modeled after Groot Constantia, the oldest winery in Cape Town. The Terlato family partnered with Wilson in 2011 and in 2004 bought Chimney Rock. Dough Fletcher has been the winemaker at Chimney Rock since the beginning. As the golf cart travels around the vineyards, you will pass the pond, where, if you are lucky, you might find a golf ball at the edge of the water. This ball will be at least fifteen years old but it is possible to find one, as I did. Upon completing the golf cart tour, the tasting will end with a wine and cheese tasting in a private room. These single vineyard wines are only available during a tasting or through the wine club. Hop in a large SUV and head up to the Saddleblock Vineyard at Silverado for a private vineyard experience titled the Saddleblock Tasting. Instead of standing in the tasting room, a table is set up in the middle of the vineyard for an intimate wine and cheese pairing. Wines, such as the cabernet sauvignon and merlot, are paired with local Sonoma cheeses such as Point Reyes Farmstead Cheese Company “Toma”, Redwood Hill Goat Dairy Soaked Cheddar, Valley Ford Cheese Company “Estero Gold Reserve” and Bellwether Farms “San Andreas”, as well as salumi from Santa Rosa. Before, or after, the tasting, you can wander through the vineyard, getting up close and personal with the vines. Silverado Vineyards was created by Ron and Diane Miller, Walt Disney’s daughter. The property had originally been owned by Harry See, of See’s Candy. While the Miller family purchased the property in the 1970s, it was not until 1981 that they established Silverado Vineyards. With over four hundred acres, Silverado Vineyards is one hundred percent sustainably farmed. Half of the property has been preserved in the Land Trust exclusively for open space and agriculture. Half of the winery is powered by solar panels and a small portion (15%) of the vineyards is farmed organically. With a passion for the environment, a tasting in the vineyard is all the more exciting as you can see how alive the soil is that the vines are growing in. As you drive up the long road lined with walnut trees to Stags’ Leap Winery, you will arrive at a Victorian-era Manor House built in 1893 by Horace Chase. This historic home is open by appointment only. With a reservation, you can enjoy the Estate Tour and Tasting for $65 per person. The guide will take you through a historical tour, both of the winery and the house ofthe Chase family. Tour through some of the rooms of the house, which has fifteen fireplaces and eleven bathrooms andperhaps you will be lucky enough to see the ghost that is said to live in the Manor. Head downstairs to visit the former speakeasy, which has been converted into a room for wine club members to enjoy. After strolling through the garden and looking at the vineyard on the property, a tasting will take place in one of the dining rooms in the house or on the porch of the Manor. Stags’ Leap Winery, not to be mistaken with Stag’s Leap Wine Cellars, was named in 1910. The property became a working cattle ranch in 1913 when it was sold to the Grange family. In 1929 vines were planted. Today the Ne Cede Malis block is the oldest in the vineyard. This block is planted to a tradition field blend dominated by Petit Sirah, as well as sixteen other varieties. Today Stags’ Leap winery has two labels – the black label is for wine from estate fruit and the white label is for wines made from sourced fruit. An Estate Tour and Tasting will introduce you to wines with both labels but especially the limited production estate wines such as the Ne Cede Malis, the rich “The Leap” cabernet sauvignon, and the concentrated “Audentia” cabernet sauvignon. At Shafer, there is not a public tasting room like many wineries have. Instead, a reservation is required. With a reservation you will enjoy a classic seated tasting that is set up like an at-home wine tasting. No more than ten guests will sit around a large table for a ninety-minute tasting. Your guide will offer information about the history of Shafer and the wines, as well as basic winemaking and wine tasting tips. The sit-down tasting features five wines, including the Shafer signature wine Hillside Select. The tasting visit costs $75 per person and includes an elegant “Owner’s Manual” booklet that includes details about each of the wine, as well as wine and food pairing suggestions and other helpful wine tips regarding storing and serving wine. Shafer Vineyards was purchased by John Shafer in 1972 and produced its first wine in 1978. John Shafer was one of the leaders in creating the Stags Leap District AVA. A hillside property with four hundred acres, there are two-hundred-and-five acres planted. Shafer Vineyards is a sustainable winery. John Shafer still owns and runs the vineyard along with his son Doug Shafer and winemaker Elias Fernandez. During a classic seated tasting, it is quite likely that Doug Shafer will stop by to say hi and chat for a few minutes. Visiting the wineries in the Stags Leap District will remind you why the area made a name for itself forty years ago. And, all it takes is a little advance planning to schedule a visit to one of these tasting rooms where you can have a unique wine experience and try wines not available in the general market.